The Permaculture Magazine Prize launches in 2018, with £20,000 to be awarded to projects showing best practice permaculture in ecological, social and cultural design IS NOW CLOSED. The Youth in Permaculture Prize, with £5,000 for those 25 years and under, is OPEN UNTIL 15th July! Permaculture magazine is launching the Permaculture Magazine Prize 2018 with a fund of £20,000. It will consist of one main award of £10,000 and four runners up of £2,500. The prize is open to any permaculture project in the world. We want to specifically award money to permaculture projects that reach ordinary people and demonstrate best practice permaculture both in terms of ecological and socially / culturally innovative design. * Modelling new ways of cooperating and new cultural paradigms. Online applications are now CLOSED. Winners will be announced in Permaculture Magazine issue 98 published on 24 October 2018. Projects can apply if they have been functioning for at least three years and have established their place within their community. Please tell permaculture projects around the world about the prize. We want to hear from you! “In a time of global crisis, the world needs well designed, regenerative and inspiring examples of permaculture. We have set up this prize to celebrate and support pioneering, best practice projects and tell these stories and shine a light in the darkness." John D. Liu is a renowned filmmaker. He made the documentaries Green Gold, Prix Italia award winner, and Hope in a Changing Climate, named the best ecological film at the International Wildlife Film Festival. He recently founded the Ecosystem retoration Foundation. Looby Macnamara is a permaculture teacher and author. Her first book, People and Permaculture, was the first to look at the people care ethic within permaculture. She has recently set up a permaculture learning and demonstration centre in Herefordshire with her partner, Chris Evans. She teaches groups around the world and is currently collaborating with visionaries to share the Cultural Emergence toolkit. Kayode Olafimihan is the chair of the London Permaculture Network. He organises the annual London Permaculture Festival, founded Permablitz London and has established a permaculture LAND project at Cecil Sharp House, headquarters of the English Folk Dance and Song Society in London. Simon Constantine started his career in perfumery at Lush, a natural progression for a man who was literally brought up on fragrance and beauty products as the son of two of Lush’s co-founders, Mark and Mo Constantine. He is responsible for buying and sourcing the high quality ingredients and raw materials used across all of Lush’s product ranges. He travels the world setting up co-operatives with local people, ensuring consistent quality, quantity and fairtrade. He is a global champion of permaculture. Anthony Rodale, a photographer, advocate for sustainability, and endurance athlete, has spent years travelling the world visiting sustainable, and organic farms, learning about their successful practices in soil regeneration, crop production, plant diversity, carbon sequestration, economic viability, food security and community health. This Spring, Anthony will be taking on a new leadership role as Board Chair for the Sustainable Food Trust. He has been President of the Sustainable Food Alliance since 2011. Before that served on other Boards such as the Rainforest Alliance, Friends of the Soil Association, and Board Chair of the Rodale Institute in Pennsylvania. In 1996 completed the Permaculture design course with Bill Mollison. Penny Livingston-Stark is internationally recognized as a prominent permaculture teacher, designer, and speaker. She holds an MS in Eco-Social Regeneration and a Diploma in Permaculture Design. Penny has been studying the Hermetic Tradition of alchemy and herbal medicine making in Europe and the United States for 4 years, and has been apprenticing in Germany and Italy at the Arven School for Medicinal Plants, Aromatherapy and Wilderness Wisdom. She is also on the Advisory Board for Abundant Earth Foundation, the sponsors of the Youth in Permaculture Prize. With her husband James Stark, and in collaboration with Commonweal — a cancer health research and retreat center — Penny co-manages Commonweal Garden, a 17-acre organic and certified salmon-safe farm in Bolinas, California and is also a founding member of the Natural Building Colloquium. Internal judges: Maddy & Tim Harland, founders of Permaculture magazine and Permanent Publications. This prize is for individuals, communities, businesses, groups and organisations that can demonstrate inspirational work over more than three years. • We encourage entries from anywhere in the world. • The closing date for entries is 30 June 2018, 23:59 GMT. Your entry must have been received by this date! • Organisations may only submit one application. • Prizes are for ongoing work (not as a reward for past work). Support the PR and outreach activity for the prize. • Permaculture magazine will conduct due diligence research on nominated individuals and organisations prior to recommending initiatives for awards. Any issues that may arise will be discussed openly with the applicant. It would be helpful if applicants flag up any potential concerns in advance. Other unanticipated ethical concerns will be considered on a case by case basis. The Abundant Earth Foundation, in partnership with Permaculture Magazine International, announces the first global Youth in Permaculture Prize. Young permaculturists, 25 years old and under, who are spearheading projects based on eco-friendly agricultural practices or efforts to improve the social fabric of their community are invited to apply. A total of £5,000 (GBP) in awards will be given ($6,630 (USD)). Youth are truly the future of our planet. In order to recognise and honour their talent and intelligence, this world-wide prize will spotlight young leaders who are dedicating their time to make the world a better place and create a future that provides for all. With so much at stake regarding climate change, economic disparity, and loss of species, today’s youth are motivated to do what they can to change the destructive path the world is on. Moreover, adults have much to learn from them and many ways to support their efforts. This prize is designed to share stories, solutions, and methods we can all participate in, steering a new course for the future, while allowing the youth to lead the way. Projects which have a potential to “go viral,” with a multiplying effect, that can easily be replicated by others are of special interest. Real-world application of Permaculture Ethics and Principles will be considered in the evaluation of the applicants. Care for the Planet, People, and the Future are the Ethics and foundation of permaculture. More information about permaculture can be found at www.PermaculturePrinciples.com. An international panel of young judges will choose projects based on the impact they will have on the environment, providing food, offering solutions to economic or social problems, or other means of creating a better future. Entries for the Youth in Permaculture Prize must be in by 15th July, and you can apply here: www.abundantearthfoundation.org/YP Winners will be announced in October, with awards presented in November 2018. This is so great to see! I am very excited you are offering this prize. There are so many efforts out there that could use some funding to help move it forward! Thanks Permaculture magazine! I am here trying to submit the form for the last hour and despite having less than the word limit, I cannot seem to submit the form. Any tips. We found this application form only on Friday and have worked to prepare the form for submission on time! Can someone offer a solution? Can't submit the form as well, but.. The deadline for this Prize was 11.59 pm 30th June BST (British Standard Time). We cannot in all fairness extend the deadline as the Prize and the terms of application have been advertised for many months and we have received over 150 very strong applications already. Please apply next year. 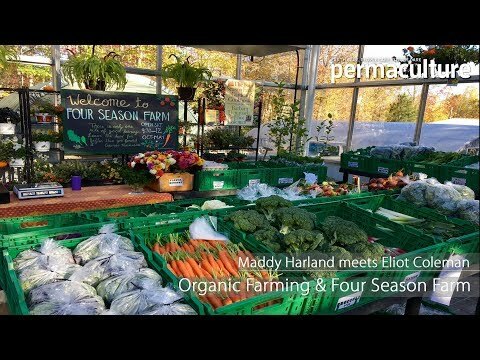 How to grow food and medicinals as well as managing and harvesting a woodland. Opening up the complex microbial world in the soil and how we can work with it.